Do you enjoy living in country like setting Scenic 40 acre parcel with beautiful views overlooking the Humboldt County, Nevada. This beautiful piece of property would make for a great home site, or vacation spot. This lot would be perfect for someone looking to build an off grid cabin, hunting, as an investment or just to escape the hustle and bustle of city life. Land prices are souring and investors are sure to make a great return, if purchased for your own personal use you will have wide open space and beautiful landscape. Power & Utilities There are no utilities. Water would be by well. Power is about 10 miles from the lot. Generator or solar should be considered. GPS Coordinates & Location Own a 40 acre ranch just 18 miles from downtown. Approximate GPS Coordinates are 41.039962, 81 There are houses and ranches scattered throughout the area. Taxes per year HOA There is no Home Owners Association for this property. Size 40.820 acres Terrain Flat to rolling with beautiful Moutain Views. Elevation 4,304 feet Current Zoning Residential. Agricultural use is allowed. Come experience the beautiful mountain vistas in all directions. Antelope are abundant on the lot, as are other smaller game. Perfect lot for a hunting cabin, No liens. Taxes are current. Elevation Approx. 4,304 Feet Association Dues None Terrain Flat to rolling with beautiful Mountain Views. 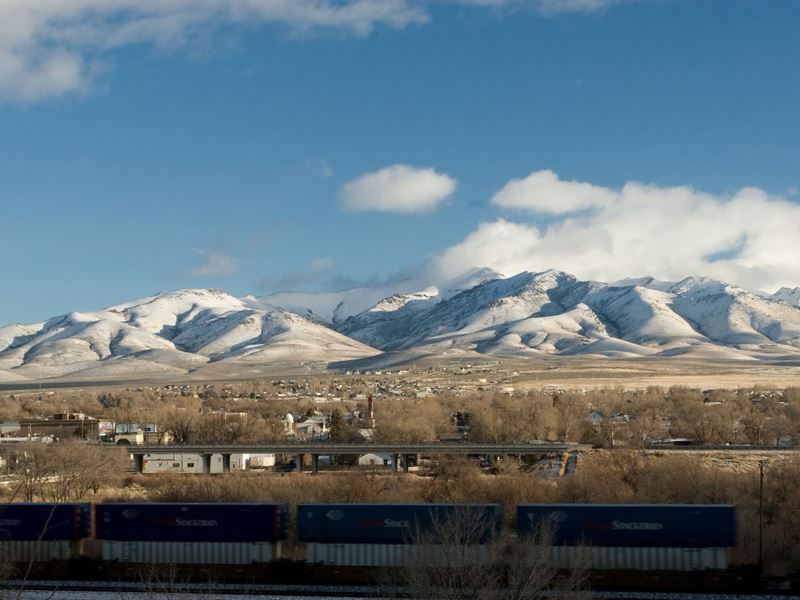 Things To Do & About the Area Winnemucca is a great jumping-off point for many types of outdoor recreation. Nearby are fabulous hiking, hunting and biking trails, as well as miles of ATV and off-road adventure trails. In town, there are over 1,000 hotel rooms, several diverse restaurants, casino gaming, and plenty of other opportunities for fun. Humboldt County is located in the rugged high desert region of north-central Nevada, bordered on the north by Oregon and by neighboring Nevada counties to the west, south and east. The county's 9,626 sq. miles offer some of the most varied, spectacular scenery in the State and a lot of recreational, outdoor opportunities. The county's economy is derived in large part from Mining, Agriculture & Agriculture services, Tourism & Construction. The county is located in the rich gold mining center of the Western US and is the leading agricultural county in the state of Nevada. Hunting, fishing and biking opportunities bring lots of tourists to the area.